"The Icemon Cometh" is somewhat reminiscent of the season 2 episode "His Master's Voice", which is appropriate since Chiaki J. Konaka was the head writer for that one. Though appreciably better than the previous few, this episode is a classic example of why the occasionally murky motivations and reasoning of these characters brings frustration rather than nuance. It (and indeed the resulting subplot) would have been much better by simply focusing on Rika's thoughts on a deeper bond with her digimon, rather than those pseudo-philosophical ponderings on the nature of evolution. or the thoroughly unsatisfying way he is beaten. Plus, it's cheap that most of his frozen victims are rookies. He serves as kind of a reflection of Rika's cold demeanor, which is a good way to have her change her outlook, but NOT a good basis for what follows. but Kyubimon's first appearance, which was not triggered by loaded data, completely discredits that. I could understand if there had been a notable shift in Renamon's personality, but her earlier clearly selfless behavior and apparent docility in her champion form say otherwise. If THIS had been the first time Renamon digivolved and she demonstrated aggressive behavior in destroying IceDevimon, then it would make sense. One might say that she fears that continuing to load data will change Renamon in the future, but if that's the case then why not simply order her not to do so? Once again, it's clear that she can digivolve without it. 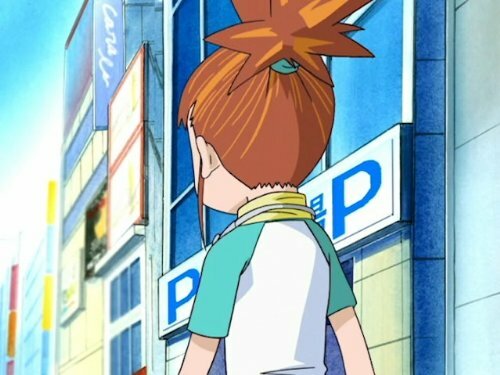 As a result, Rika's declaration that she hates all digimon (especially after asserting that Renamon is her friend) is excessive, more frustrating than shocking. In terms of quality, this one could have been rated higher, but Rika's incoherent behavior leaves such a bad aftertaste that I can't shake the thought that this whole scenario was made to forcibly prolong the friction between these two.